51 Downing Street, Wall installation, full view. found objects, wax. workbench parts. 51 Downing Street, wall installation, detail. 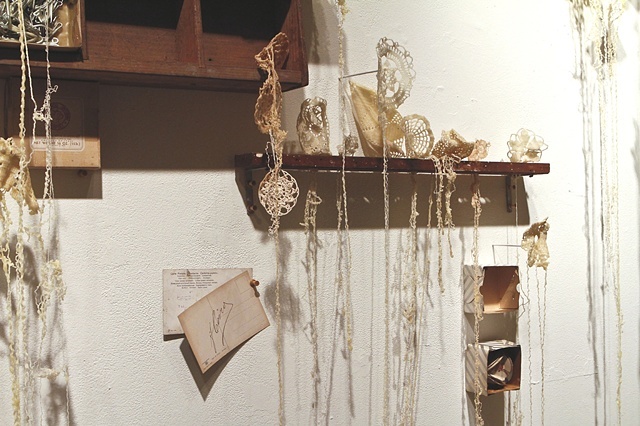 Boxes filled with collected objects, exactly as found from 51 Downing Street, New Haven CT, combined with pieces of my grandfather's workbench from the same house, and deconstructed lace sculpted with beeswax, projecting from the surface. 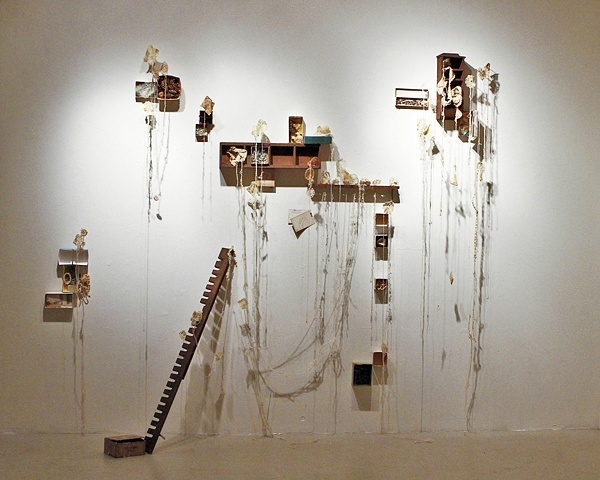 Assembled as a wall installation.